When you wake up in the morning and get the coffee brewing, where’s the next place you go? To the shower, of course! For many, the morning shower is half about getting clean and half about clearing out the cobwebs and getting ready for the day ahead. That’s why so many people want to have amazing showers in their bathrooms! And, when it comes to showers, you really can’t do any better than the walk-in shower. 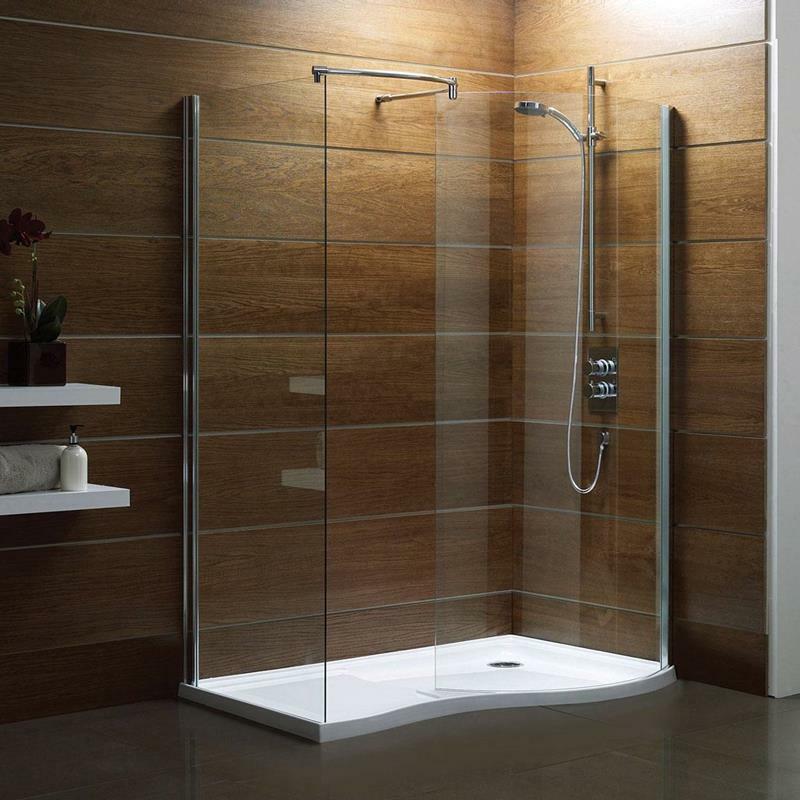 Depending upon your style and aesthetics, you can do pretty much anything you’d like with a walk-in shower. 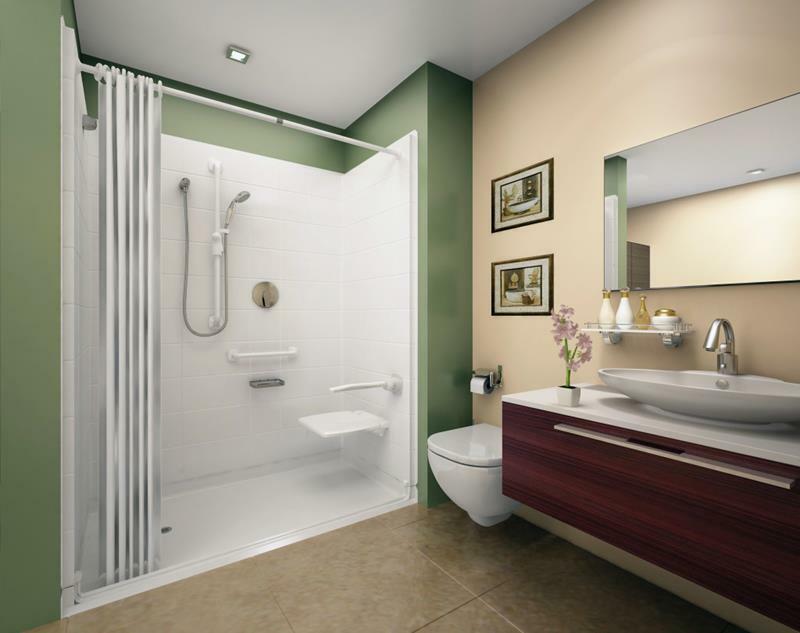 As you’ll see on this list, there are walk-in showers that provide a simple space for cleanliness and calm reflection, and there are others that are massive and ornate, almost like something you’d see at a world-class spa in some far-flung resort. Some have one showerhead, and others have many. There are even a few with those rain showerheads that you might have your eye on! 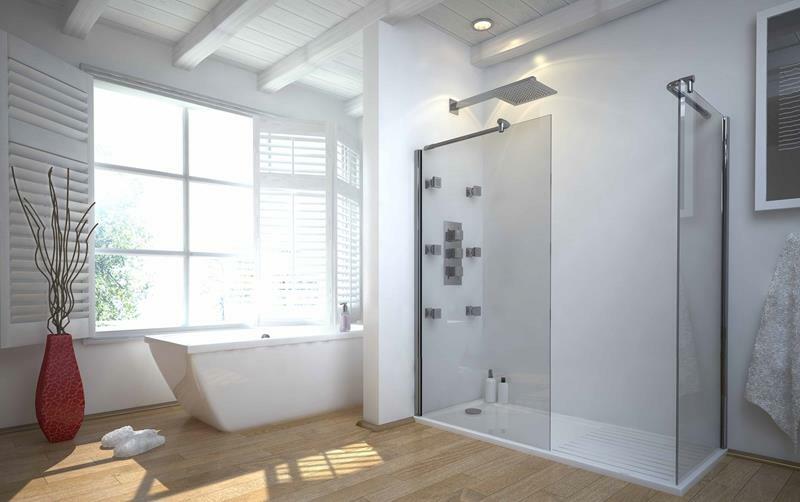 So, if you think your bathroom’s shower is in need of an upgrade, and you’re looking to go the walk-in shower route, then sit up and take notice. You’re sure to find plenty of inspiration on this list for a walk-in shower of your own! 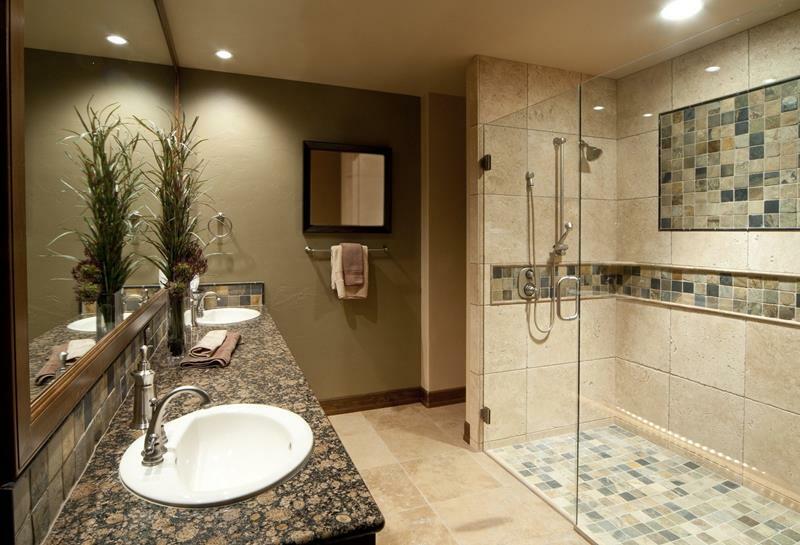 With attractive tile-work on the walls, this glass encased walk-in shower helps this bathroom design to breathe. With beautiful wood walls like this, the choice of a walk-in shower is the prefect one for this bathroom. 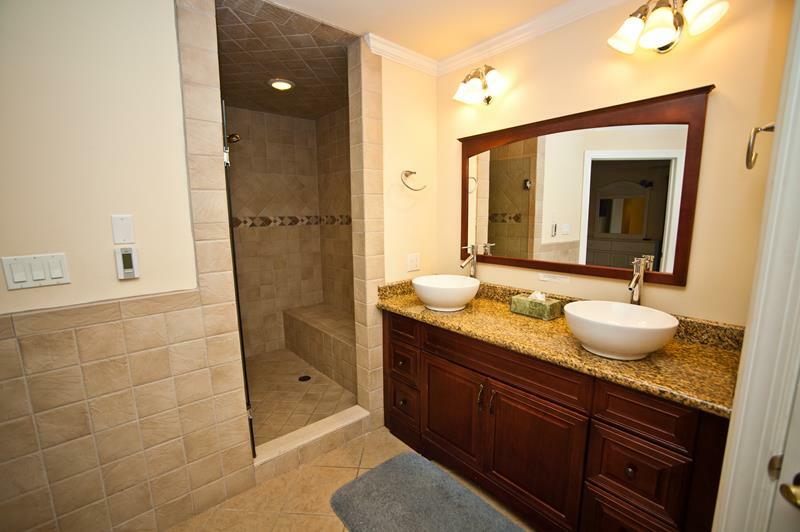 The layout of this bathroom with it’s wide vanity and walk-in shower is geared toward ultimate convenience. 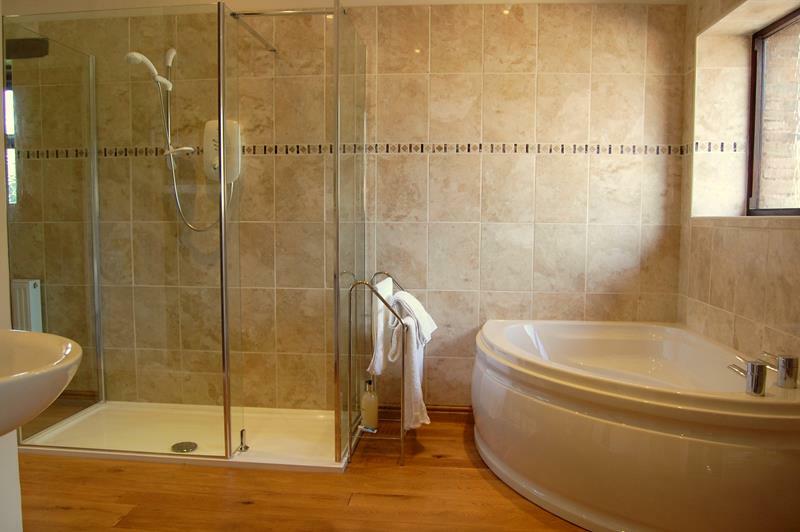 Tucked away into the wall, this bathroom’s walk-in shower provides an exceptional level of privacy and intimacy. The design of this bathroom’s walk-in shower allows for the brightness of the room to be thoroughly enjoyed.